The unveiling of these, ahem, reminded me of just how social being a sports fan can be. There are many reasons I’m happy Ryan gravitated to sports. Beyond the common bond it has given our family, beyond the road trips, beyond the memorable experiences, there’s something else that he gains from his love of hockey and increasing interest in other sports. Watching a sporting event is a social activity, best shared with friends. I was reminded of this fact this week. My favorite NFL team is the Tampa Bay Buccaneers. I’ve never lived in Florida. I chose them as my team when I was seven years old because I liked their creamsicle-colored, winking pirate uniforms. My first game as a Bucs fan was a playoff game. They would not return to that same round of the playoffs for 20 years. In between were NFL records for futility, and those garish uniforms. I grew up in New Jersey. Suffice it to say there weren’t a lot of Bucs fans around. Being a Tampa Bay fan was something I was known for among my friends. This uniform inspired fear in … no one. But as a seven-year old, I love it. 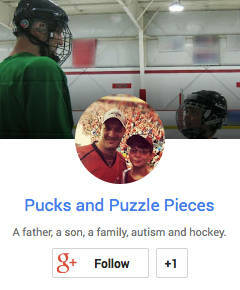 What does this have to do with socialization and raising a child on the autism spectrum? Stick with me. I’m getting there. 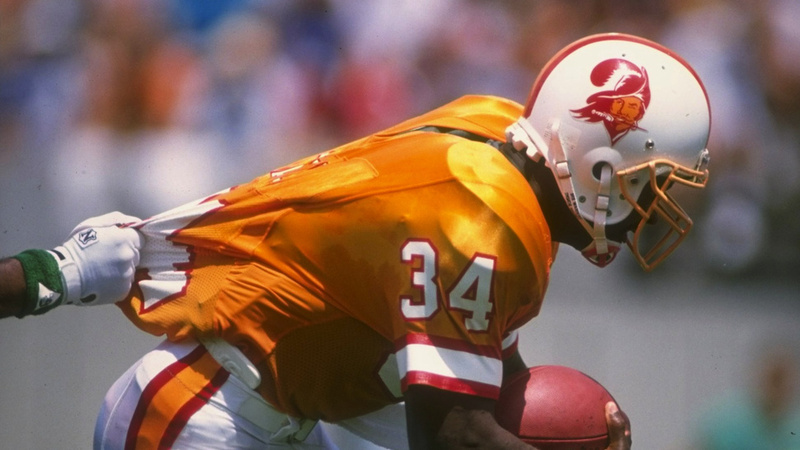 The Buccaneers unveiled new uniforms Monday, and, improbably, they might be even uglier than those 1970s duds. They are an abomination of black, red and orange. My twitter feed and my Facebook page immediately blew up with queries from friends asking my opinion. I heard from present co-workers, and some I haven’t worked with for a decade. The next day I received an email from a great friend from high school with whom I’ve lost touch. I can’t remember the last time we saw, or even emailed each other. The subject of the email? 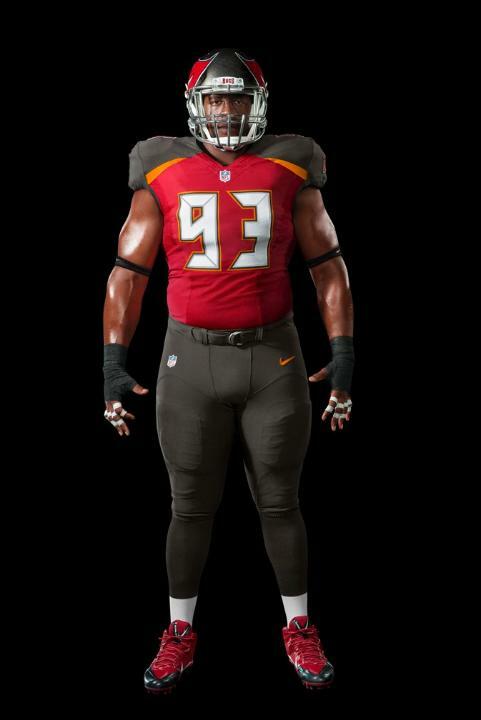 The Buccaneers’ new uniforms. There are lots of common interests through which people connect. I’m not suggesting sports is better or more important than any of them, only that it has inherently social aspects that provide for a natural bond. My father and I spent a lot of time bonding over sports, mostly baseball. We took many memorable trips to see some of the classic old ballparks around the country before they were torn down. Both he and my mother encouraged my love of sports and tolerated my moodiness over the outcomes of certain games, providing a sympathetic ear when my favorite hockey team, the Washington Capitals, endured one of its many crushing playoff defeats. I stay connected with a core of college friends through the common bond of Michigan athletics. Some of these relationships are going on 25 years old, and some go almost silent during the long football offseason. But come September, we pick right up again, tweeting, emailing and texting during games. Indeed, technology has made the social aspects of sports easier to keep up. I experience the majority of Michigan games from my living room, but outlets like Twitter allow me to take part in the same conversations about the game that I would be having if I were with my friends in the stands or in a bar. It is difficult for Ryan to connect with his peers. Sports give a common context that makes those connections easier. He has brought friends to several Devils games this year. The game provides a natural conversation topic. The shared experience helps bridge the social gaps. And even when Ryan doesn’t have a friend at games, he has learned to seek the social experience of celebrating with his fellow fans. Ryan loves the random stranger high-five that is a frequent occurrence at games. It has gone from a curiosity to something he seeks out any time we’re at a game. For years, Ryan resisted using email. He was paying a little too close attention in a computer class one time when computer viruses were discussed. He became convinced that using email would lead to a virus on his computer, and so he tried to avoid it entirely, with a few notable exceptions. This year, one of Ryan’s teachers is a big Philadelphia Flyers fan. We discovered that at some point during the year, Ryan had begun emailing his teacher about the Flyers. They exchange good-natured trash talk over email — the same as I do with friends. Ryan’s interest in sports is a little different from most. He obsesses over shots on goal totals. He memorizes seasons worth of results. But the social aspects? There is nothing unusual about those. It’s why we continue to encourage his interest, even when it’s painful. The social benefits far outweigh the occasional difficulty.